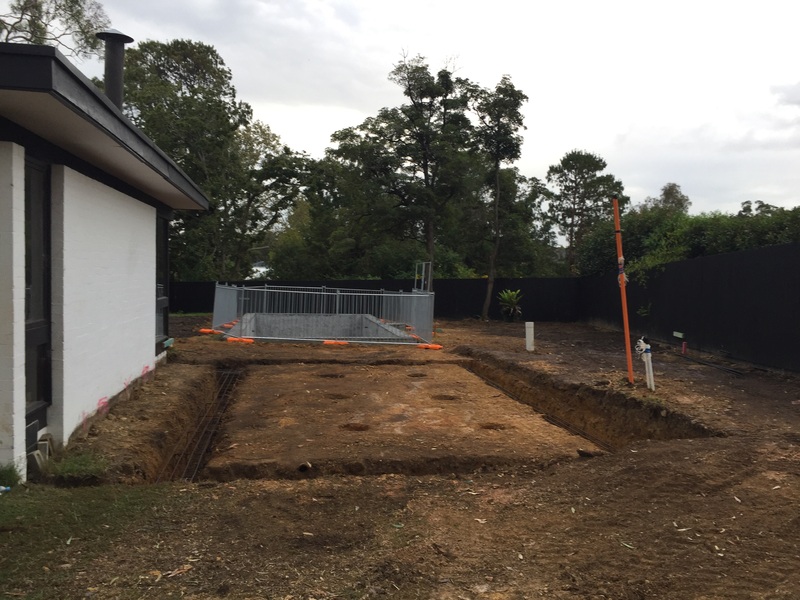 Getting out of the ground | Sydney House. We’re finally out of the ground, after about 8 weeks of digging, drainage, fill, pool dig and concrete, and foundations. Yay! At every step our builder has been excellent. 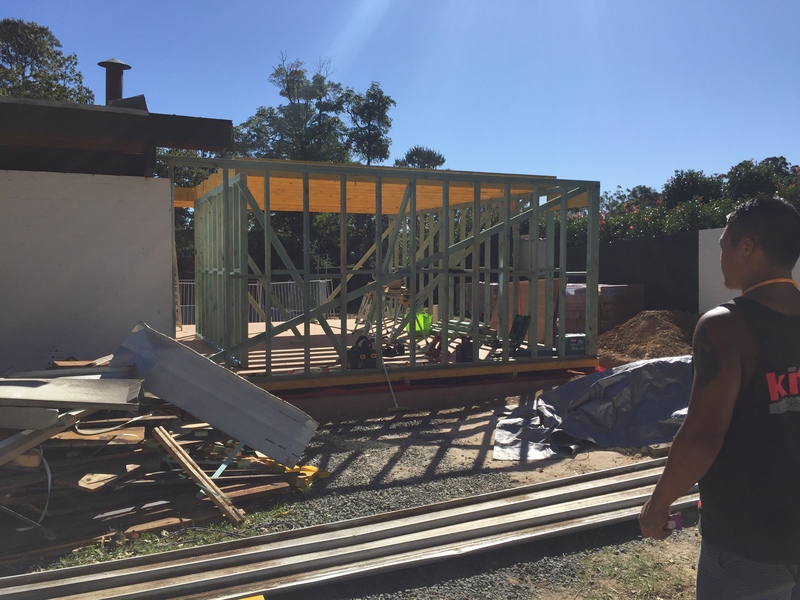 As we are living in the existing house, being owner builders has worked well. We usually have a meeting or conversation each morning before work and it’s been a learning experience for us to be guided by a good builder who is on-site daily as both a carpenter/builder and the foreman. Our excavator has been present on many of the days in the first 8 weeks when needed. And the plumbers have been called in as needed as well. We also have a labourer on site. Now that the drainage pit is done, we would recommend to anyone doing a DA to really carefully read stormwater plans before lodging the DA. Ask the engineer any questions about materials or specs that could cost you more during the build. It’s just a good way to save the stress and the budget before starting. After all, you’re paying them to design what you need, that meets your budget, and complies. Setting foundations, we have used brick piers to match the construction of the original house and it was surprisingly inexpensive as we sourced our own bricks and re-used bricks that were left onsite for the past 45+ years! Up go the beams, ready for level 2 to start..our black box. 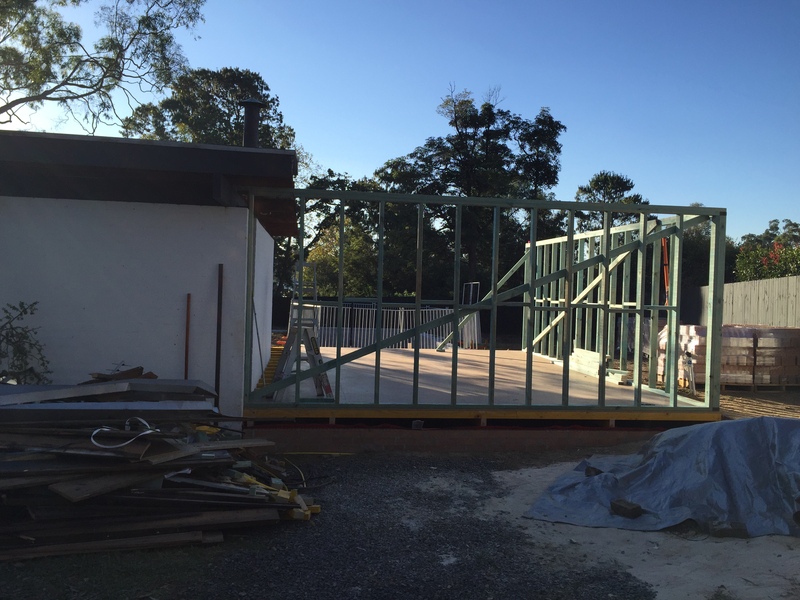 My crooked photo doesn’t help…but up goes the 2nd level frame. The lower level will be brick clad to continue the style of our existing P&S house. 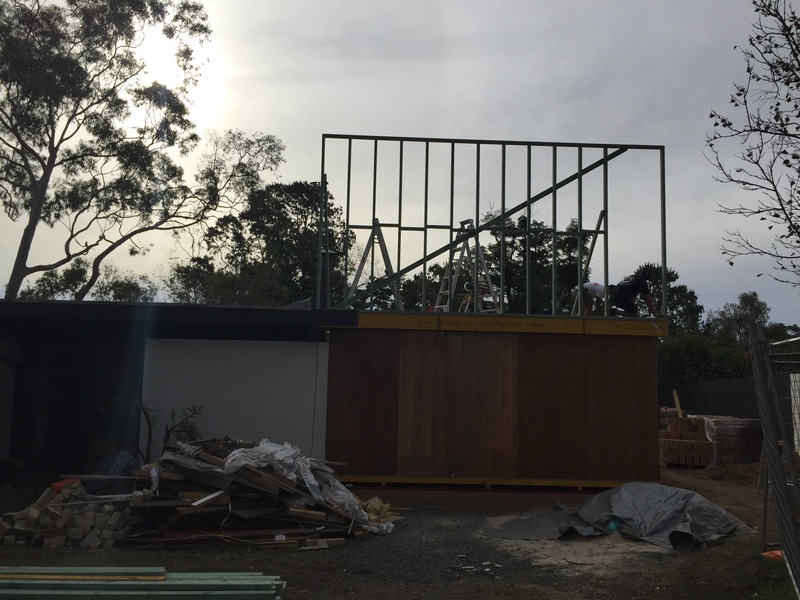 And the top will be clad in black timber with windows that echo our original house. 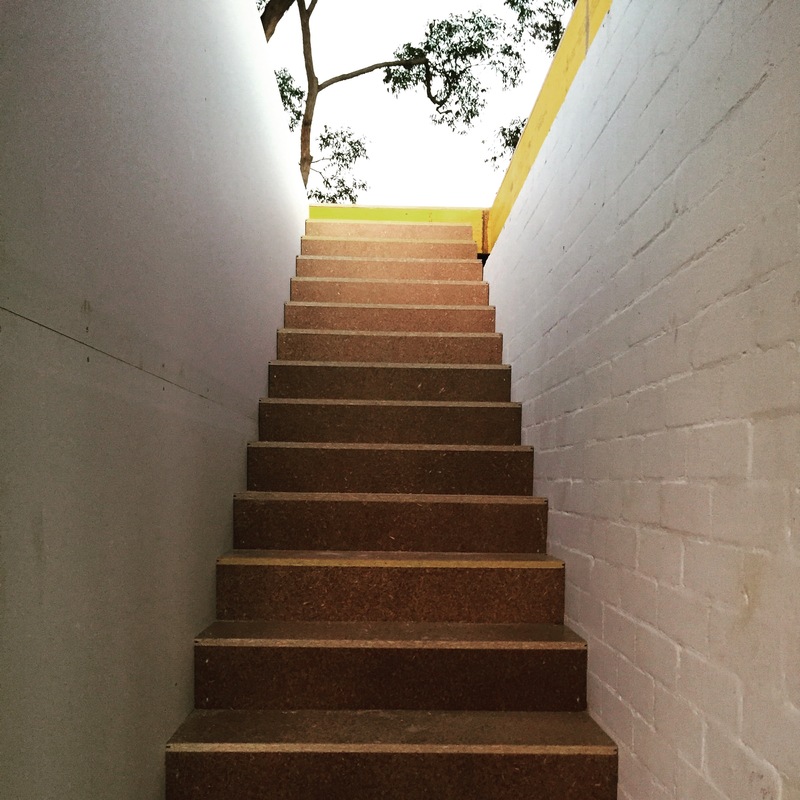 It’s hard to believe we’ve got the stair structure up in a day, and a really comfortable set of treads and rises. We’ll be taking the outside brick wall all the way up to the 2nd level, as it’s now an internal wall in the new stair well. 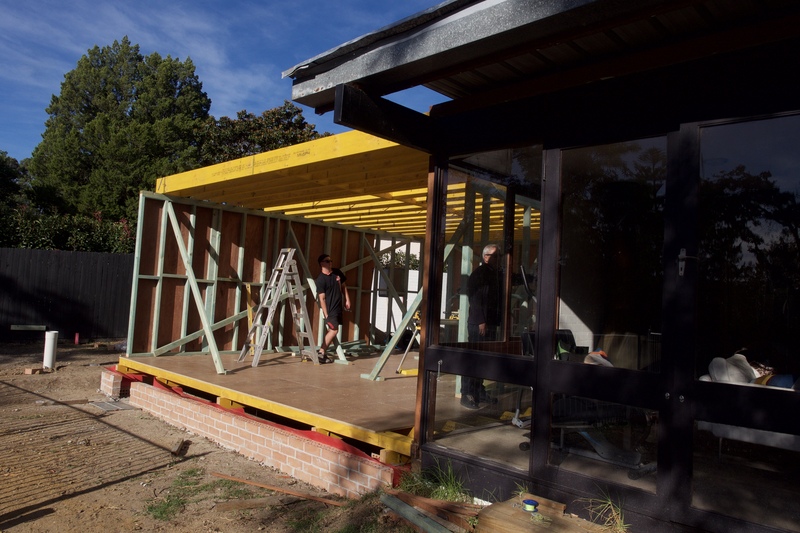 Pingback: The Middle Stages | Sydney House. any chance of an update ?, hope it has all gone well. Hi Geoff, boy do I have some updates. Ups and downs and all arounds. Stay tuned. I’m sorry I fell behind!